I believe so, they are released by Tatsuki/Irodori. 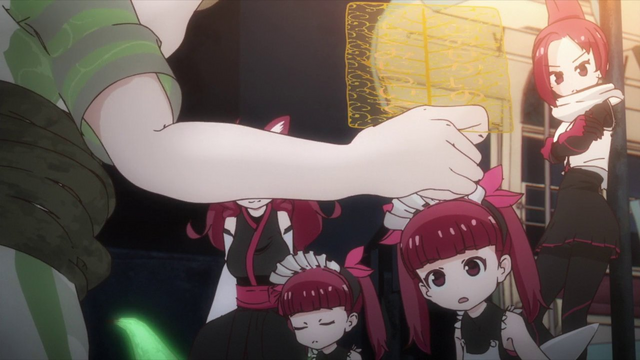 This kemurikusa Wakaba is holding should be belonged to Ryoku (girl with glasses) appeared in episode 0.5. And the fights actually feel suspenseful, which is difficult to pull off. The pacing is good, it's not exposition-dumping us, and there's plenty to be genuinely curious about. Rina in particular is well-crafted: her concept is so unusual, and she's cute and amusing on top of that. Her character is doing a lot of the work to make the show this quirky and interesting. I'm really enjoying the Serval references in all the talk of being eaten. For those who are interested, here is the origin single episode Kemurikusa Tatsuki/Irodori created in 2012. 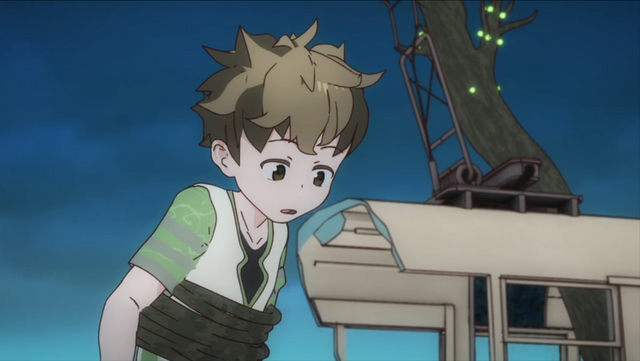 You can say it is the pilot version of the 2019 Kemurikusa. The term Kemurikusa is derived from the kanji of Tobacco (煙草), which literally mean smoke (煙: kemuri) and grass (草: kusa). So in the 2012 version, the kemurikusa looks like Tobacco. It's interesting to see his original rough draft vs the actual series. I prefer the guy in the original. One of the few issues I have with this show other than the animation being a bit rough around the edges is the voice actor for human kun being a bit over the top in his performance. He comes off unnatural to me. I definitely preferred Bag, however the other characters in this story are neat. The fact that the human in this story is male does change the dynamic a bit. All in all I actually am enjoying this show more so than the original Kemono Friends, but I have a feeling that some of the core audience from Kemono Friends won't like the darker setting and story line. The signature air of mystery is even more pronounced, the characters are still cute, the art style is better and there is a real plot driving the story and characters forward. It's fun to see what Tatsuki and his colleagues wanted to make from the start. This picture here details everyone's family tree and life/time lines. Yeah, I always think the CV casting Wataba is over the top every time I watched the show. I quite like the zone idea in the rough draft, sadly it isn't in the actual series. I think Tatsuki might used some of the ideas he has in the original Kemurikusa when he create Kemono Friends S1, but I try not to compare Kemurikusa to Kemono Friends. Yeah, I noticed that too. If you look at the chart the clouds of falling leaves seem to represent when somebody was severely injured or killed since every time a character's life line ends one is present. Also notice how each time Ritsu's life line grows thinner there is a fainter cloud of falling leaves. This could indicate when she got injured in the past or more grimly perhaps it indicates she is dying. She is the only character who coughs and needs to take constant breaks and even more concerning is the fact she seems to be subtly trying to prepare Rin for becoming the new leader. Also concerning is the fact that Rina's lifeline went from a single strong one to many thinner ones when she split and they haven't recovered since then. Each time a copy dies a piece of the original is forever lost. This might be why the Rinas have so much trouble remembering things. Perhaps each copy carries a piece of the original's memories. I wasn't feeling the first episode. Everything felt stiff, and I'm not even regarding the CG. I'm referring to the setting and characters. Once things got moving though I was intreegued. Wakaba is not my kind of character. Like someone else said, he feels exaggerated. He's cowering for his life one moment and then completely overtaken by his fascination the next, but perhaps that's illustrating his fresh look from amnesia? He had to be a bit of a weirdo already. He seems unable or perhaps unwilling to reason with the androids. I suppose it gives a slower pace to them warming up to him, and I doubt Ponytail would be one to respond with reason much anyway. Still, Wakaba has been consistent and I have enjoyed the relationship dynamics between them. Rina-tachi has gone from bullying him to becoming pals in a way that felt honest and kind of cute throughout the development so far. It has been a slow pace of learning, but it feels so natural. Well, apart from Wakaba's seeming affinity with Kemurikusa, but for now I'm confident that will get some explanation. 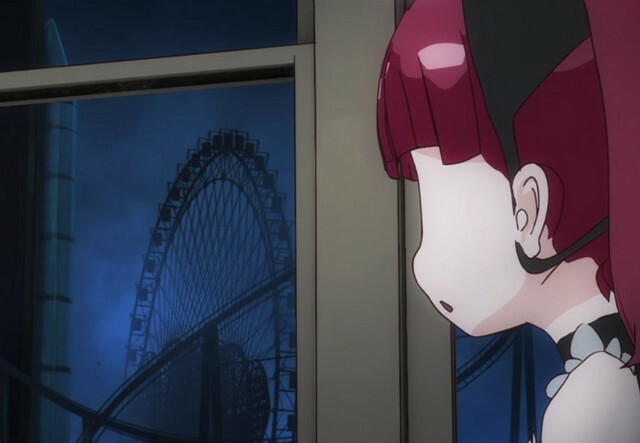 It's fun to think of how the world looks through everyone's eyes - like the way Rina looks at a Ferris wheel. My favorite has been Ritsu I think, unsettling as that may be. She's kind, patient, and her abilities or... relationship with Midori is fascinating. I want to drive a treecar! It is not unsettling at all. Everyone can have their own favorite character. Mine is Rina-tachi, her reaction to the world is lovely and her ability is interesting. By unsettling, I just meant that I worry she might not be around for the whole ride. Rina is certainly fun. When she "lines up" and divides is a very loony toons kind of fun for animated story telling that actually feels like an immersive trait for her. Yeah, I am worried about that too. She seems to be already sick in the first episode. 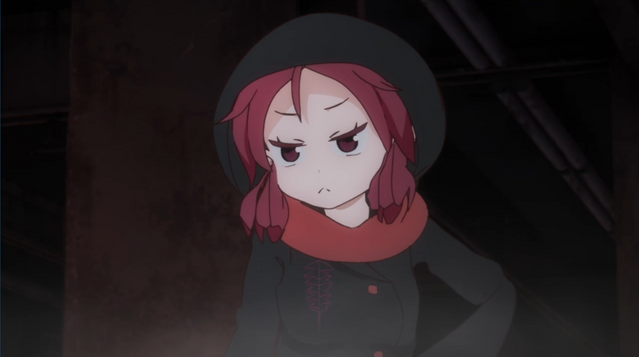 Ah, I wanted a Kemurikusa episode before bed. Oh well. Good night Aurora-chan, sleep tight. Don't let any other wayward Onii-chans bite. Modori's kemurikusa can actually do more than just a tool to defeat Nushi, which is interesting. 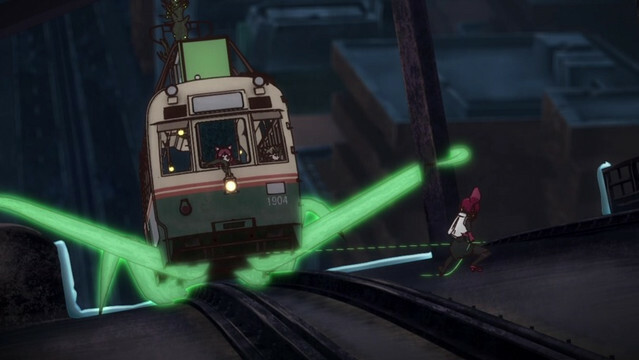 I wounder what can other Kemurikusa-s do as well, other than the ability shown in the show. Something attracted Wakaba's attention before entering Sixth Island, but it wasn't revealed in this episode. Hopefully we get to know it in the next episode. Riku is still alive! Or is she reincarnated? Can't wait to see episode 6!